A new study run by an Ottawa doctor puts a clear number on the number of years lost by unhealthy choices, such as smoking, lack of physical activity and poor diet. A new study says there are five things killing Ontario residents more than seven years earlier. Researchers found 60 per cent of all deaths in Ontario can be blamed on those five unhealthy habits. In particular, people shave two years off of their life expectancy by either smoking, being physically inactive or having a poor diet. They also said overall, Ontarians would gain more than seven years of life expectancy if everyone were in the healthiest category for all five behavioural risks examined. What bad habit would you drop to live a longer life? Have your say. The study also found that nearly all Ontarians have at least one of the five risk factors for shortening their lives, and the researchers say improving healthy behaviour will not only lengthen life, but also the amount of healthy life. The study involved researchers from the Institute for Clinical Evaluative Sciences, Public Health Ontario, the Ottawa Hospital Research Institute and the University of Ottawa. "Individually, if we all make one change like smoking less or being more physically active, then collectively we would be significantly healthier and live much longer," said study author Doug Manuel. "The impact that modifiable behaviours have on our health is astounding. Not only will we increase our life expectancy but being healthier will mean there will be fewer demands on both formal care giving like hospitals and informal care like family," said Manuel in a statement. 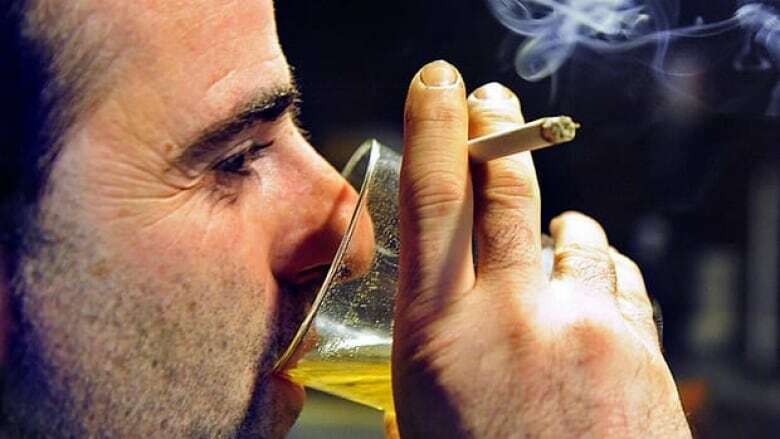 What bad habit would you drop to live a longer life?